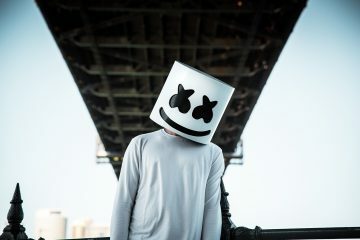 Chart-topping anonymous producer and DJ Marshmello announced today that he is set to perform at the iconic Los Angeles Convention Center on Saturday, March 31. Presented by Insomniac, the event marks Marshmello’s largest individually ticketed show and the fourth in a series of historical dance music events at the Convention Center in its 45-year history. 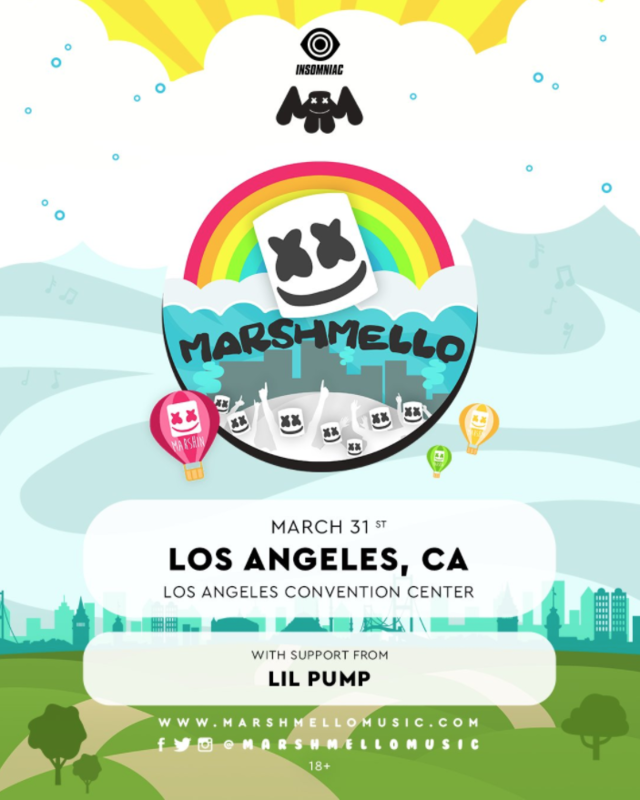 “Gucci Gang” rapper, Lil Pump, will be joining Marshmello as he brings his Melloville tour to Los Angeles. General Admission tickets for Marshmello at Los Angeles Convention Center start at $40 plus fees and are available for purchase on Friday, Jan. 19 at 12 p.m. PT. 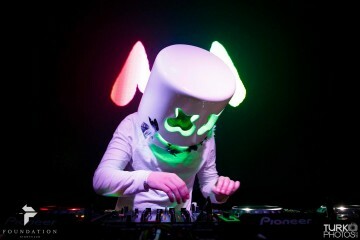 Marshmello, the anonymous Producer/DJ is taking the music industry by storm. Becoming one of the fastest rising dance producers in history, his fanbase ranges from children to adults who have helped him gather over 2 billion streams and over 300 consecutive sold out shows worldwide, currently making him one of Spotify’s Top 10 most listened to Artists in the world. This will be the fourth dance music event presented by Insomniac at the Los Angeles Convention Center, drawing over 60,000 attendees in a string of successful events that have featured Kaskade (1/7/2016), The Chainsmokers (12/30/2016), and Above & Beyond (12/29/2017).